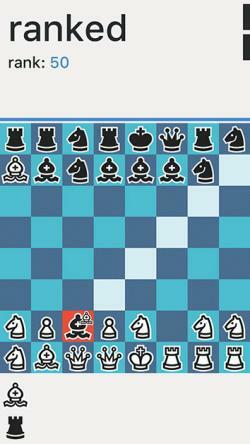 Really Bad Chess proves that games don’t need to be fair. Who Says Games Need to Be Fair? They don’t—and that’s why Zach Gage’s Really Bad Chess, featuring randomly placed pieces, is so illuminating. One of our deepest and most cherished assumptions about games is that they are fair. Most people, I suspect, think the perfect game is a kind of utopian meritocracy, that the magic circle of play can be a great sorting machine to determine who is the smartest or the strongest or the fastest. Games are so fair in our imagination that we frequently want life to be more like them: The playing field, we say, must be leveled. Except games aren’t fair. Like life, they are arbitrary and capricious. That’s part of why we love them. And now we have a game that proves it: Zach Gage’s Really Bad Chess, which hit the iOS App Store this week. Gage is a conceptual artist as well as a game designer. Best known for Spelltower, Ridiculous Fishing, and Sage Solitaire, he was the main character in Sam Anderson’s 2012 New York Times Magazine cover story about “stupid games.” Anderson called him “the Bon Iver to Rovio’s Katy Perry.” Like Sage Solitaire, Really Bad Chess takes a familiar game and makes it new. But it is also a provocation aimed at his fellow game designers. The result is a fast-paced variant of chess that makes the game more interesting for beginners and (Gage hopes) adds a new layer even for masters. “For advanced players, the shuffled-up boards turn chess from a game of patterns and speed to a game built entirely around tactics and ingenuity,” he says. Competitive video games these days are obsessively balanced and rebalanced in order to ensure that every element in the game—every weapon, every ability, every character—is of roughly equal power. Because games are connected to the internet, designers can review statistics from millions of matches to determine whether particular weapons are too deadly or whether a particular character needs to be “nerfed” (made weaker) or “buffed” (made stronger). First-person shooters such as Overwatch, mobile games such as Clash Royale, and multiplayer online battle arenas such as League of Legends are regularly tweaked and patched over the internet in search of this perfect balance. But what if that practice—which became standard only in the past 10 years or so—is not just misguided but counterproductive? Chess, after all, is an outlier. It might be our fairest game, designed (patched, even) over centuries to an austere evenhandedness. The game has no randomness to it, no dice rolls, no cards, no chance whatsoever. That aspect gives chess depth and beauty for advanced players, but it also makes it daunting and remote for newcomers. A master will always beat a first-timer. Most games, however, are nothing like chess. Poker relies on randomness to such an extent that a weak player can beat a strong player if the cards fall the right way. Monopoly relies, literally, on cards that are called “Chance.” Sports video games are hugely popular even though some virtual athletes and teams are simply better than the others, just like in offline sports. This unfairness and lack of balance, Gage argues, makes for better games. Or, at least, more memorable ones. Tecmo Bowl’s Bo Jackson is beloved precisely because he was overpowered, so fast that he was close to unstoppable. And because Tecmo Bowl, which debuted in the late ’80s, wasn’t connected to the internet, Tecmo Bo could never be nerfed. Players had to adjust their tactics to deal with him or develop in-house “moral rules” to determine when and how he could be used. And now he’s got his own Kia commercial. Pitting ourselves against a superior opponent—one who is not just more skilled but is given an arbitrarily unfair advantage—can make a game more enjoyable, not less. Gage and his friends spent a decade playing against the computer in Wayne Gretzky’s 3D Hockey, a Nintendo 64 game that has a difficulty mode that is “so unfair it is comical,” he says, the kind of A.I. that beats you by scoring seven goals in the last 30 seconds. They finally won, once, after 10 years of trying. Even so, the pieces aren’t truly random. Gage’s original idea for the game was to pit two human players against each other with genuinely random pieces, but he discovered that too much randomness was too perverse, as off-putting as the real chess’s dry formality. A game that seems like it has no rules doesn’t feel like a game at all. So he developed a light set of directions for how the pieces are generated. 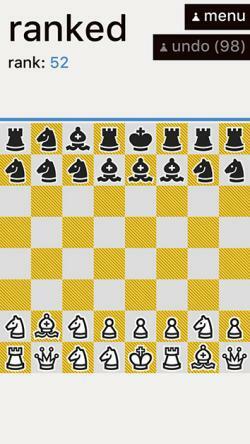 By rule, only bishops, knights, pawns, and (rarely) rooks can be in the front row in Really Bad Chess. The frequent bishops, especially, allow for quick strikes or require an early defensive maneuver. Really Bad Chess makes other concessions to playability. Players are given a ranking based on how they perform against the game’s computer A.I. (there is no multiplayer mode), which gives beginning players stronger boards until they win a few matches. A rank 50 board is for an average player and would produce two sides of roughly equal power. A rank 1 board gives the player a far more powerful set of starting pieces, while a rank 100 board gives the computer the far stronger collection. The system, which is mostly invisible to players, assigns a point value to each piece on a board. Pawns are worth one point, knights and bishops are worth three, rooks are worth five, and queens are worth nine. The sums of the pieces gives each side on a chess board an approximation of its strength. Behind the scenes, and in a matter of seconds, Really Bad Chess generates thousands of boards and then spits out one that matches the player’s ranking. 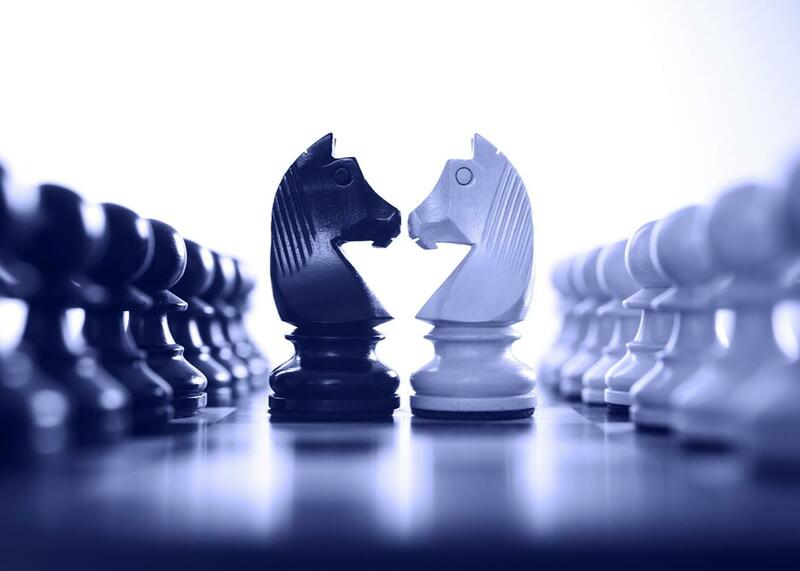 The system does not account, however, for piece position—one of the most important aspects of chess. You could play a rank 50 board that is still “totally unfair” to you or the A.I., Gage says. The ranking system is rough and unbalanced. It doesn’t seek to sand off all of the game’s edges. “What I started with was radically unfair,” Gage says: the idea of playing chess against another human being with random pieces. Really Bad Chess, instead, takes elements of unfairness and imbalance to make chess a more approachable game. Losing your queen doesn’t mean that you are going to lose the game. You probably have several more queens to lose! A few games of Really Bad Chess will teach you, very quickly, to protect your queens, to watch out for bishops, and to stay on the attack. I’m not much of a chess player, but the game might also be a pretty good chess trainer. Just this past weekend, Gage played his first full game of normal-rules chess, against a friend whom he was afraid to play against when he started designing Really Bad Chess. As a chess novice, he knew he wouldn’t stand a chance against an experienced player.